By most measures in entertainment, she is a wonderful woman. Nearly 25 million views of her YouTube videos. New York Times best-seller status for her debut book. A greenlit pilot for HBO. She is collaborating with Shonda Rhimes and Instagram’ing with Oprah. Such feats are not achieved by awkwardness alone. 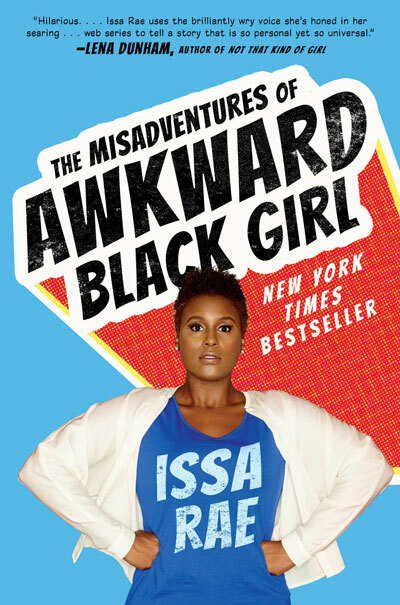 Like the projects she produces, Issa Rae is endearing and quirky and earnestly self-aware. Until you have people in positions of power that have varied experiences, nothing will change. Honestly, we’re not on [television executives’] radar. They don’t know. They’re not really thinking about us. If you have people in positions of power that don’t have very many black friends, that don’t really understand the black experience, they’re not thinking about it, and there are not enough people concerned with it… Social media changed the game in that you see all of these tweets; you’re seeing all these trending topics from…black people who are expressing what they want to see. Now people take notice.